Has rejection got you down? You’re in good company. Check out this blog post by Kristen Twardowski to read stinging rejection letters sent to (now) famous authors. My favourite is #22. I’ve mentioned before that to be a writer is to be rejected, but how have famous authors really been treated by the publishing industry? 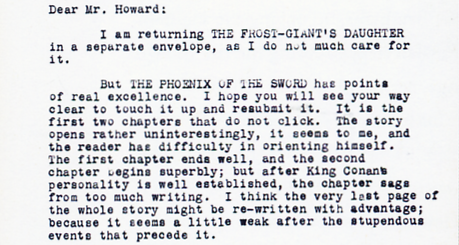 I’ve tracked down several excerpts from rejection letters to well-known authors and shared them below. Some of them are hysterical. Others are horrifying. But all of them offer a brief peek into the realm of publishing.